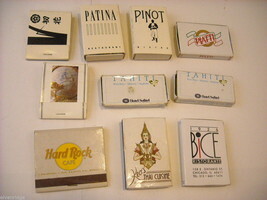 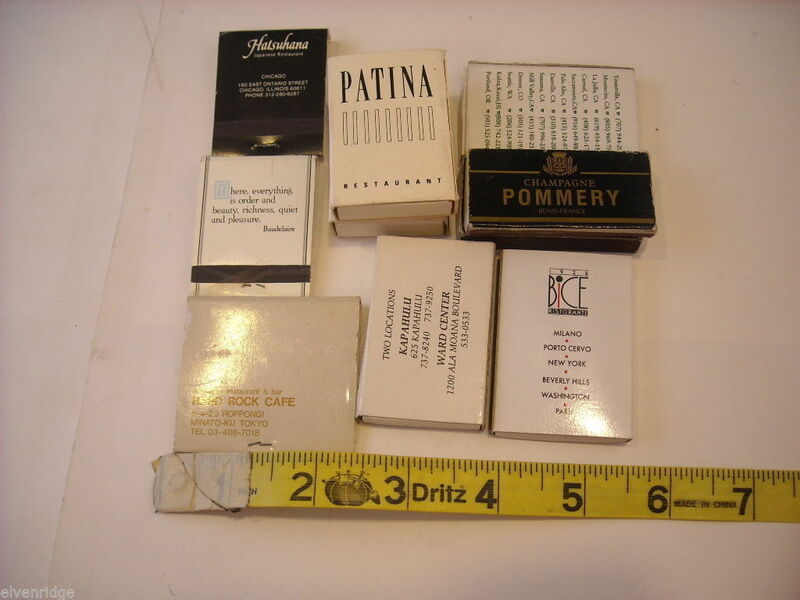 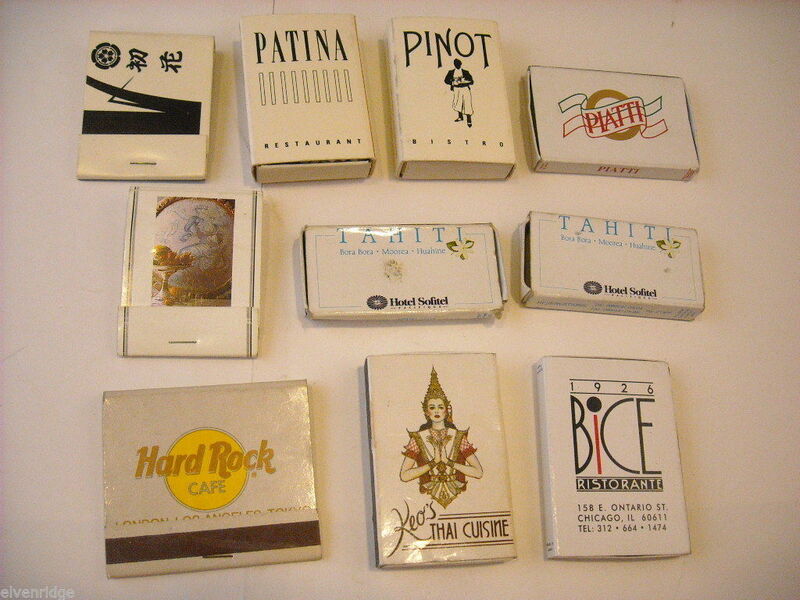 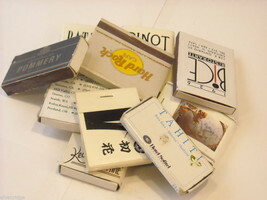 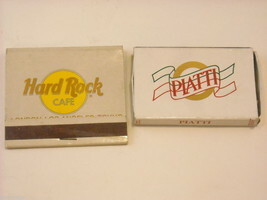 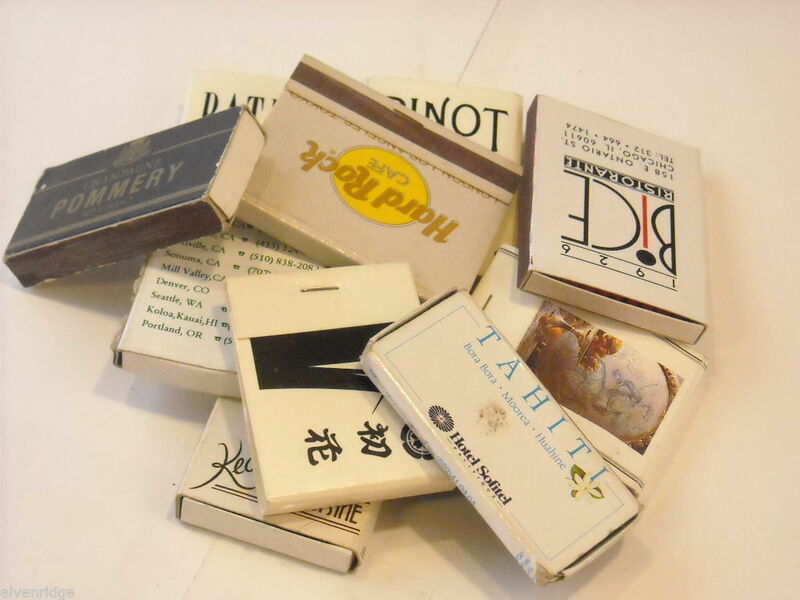 Set of 10 boxes and books of matches from around the world. 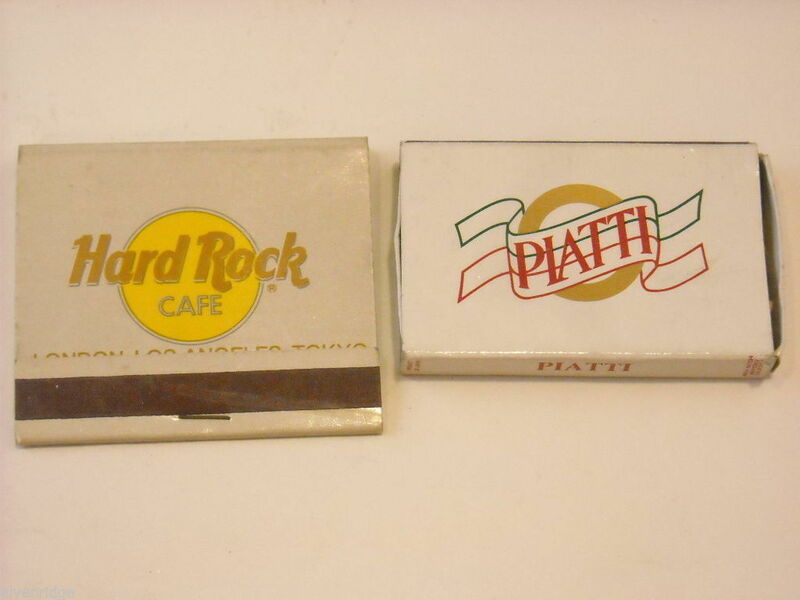 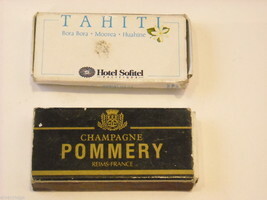 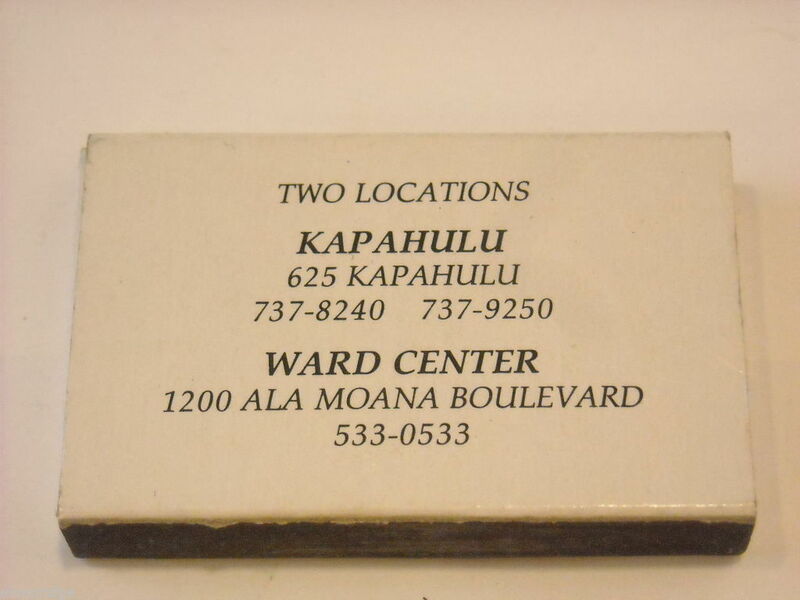 There are two from the Hotel Sofitel in Tahiti, two from Pinot Patina, one from Hawaii, one from Piatti California and one from the Hard Rock Cafe in Tokyo, Japan. 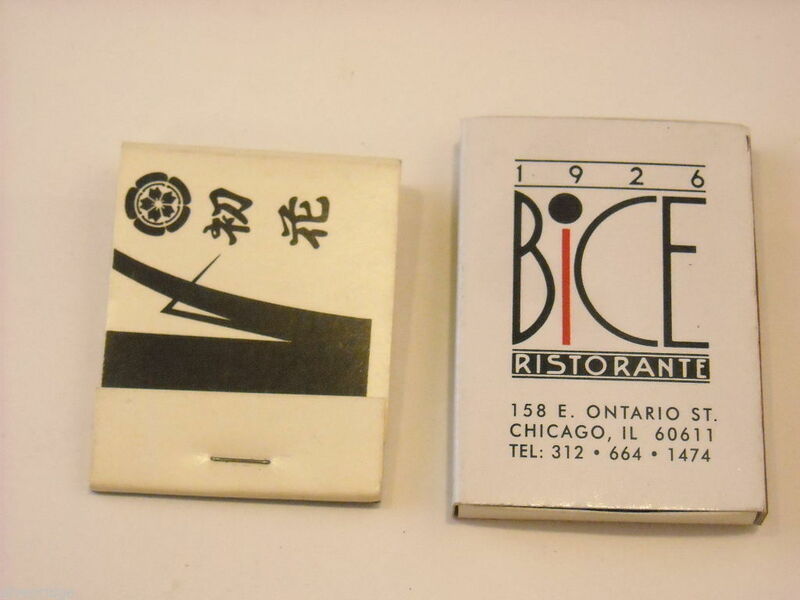 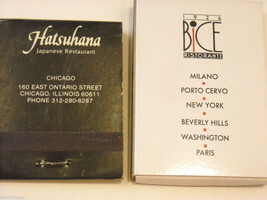 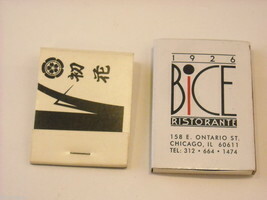 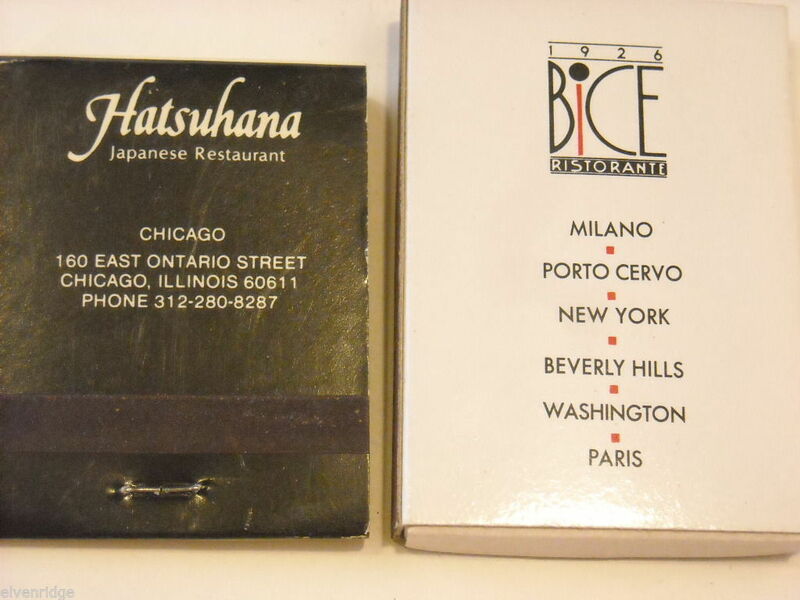 There are two from the Chicago area: one from Hatsuhana and one from Bice. 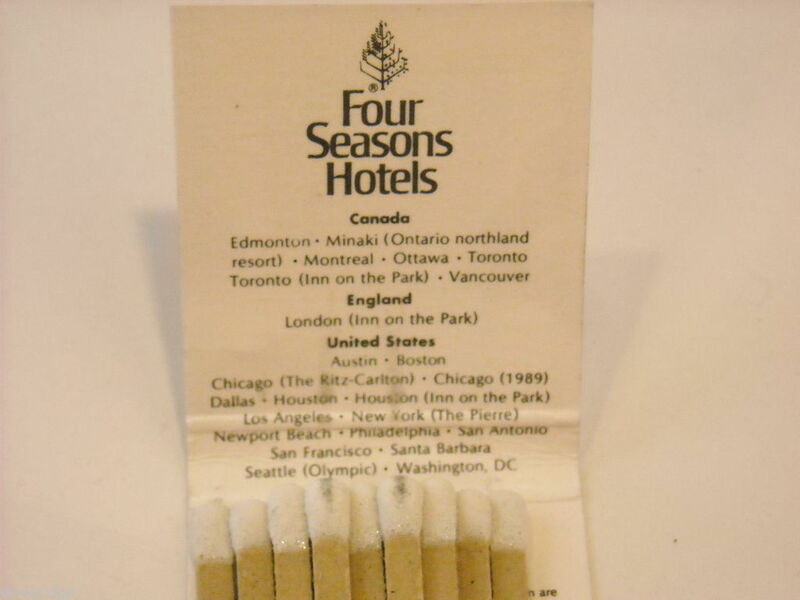 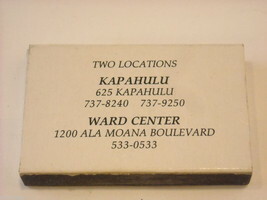 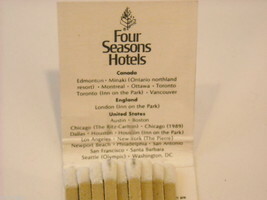 There is also one from the Four Seasons Hotels. They all measure approximately 2" x 1 1/2" x 1/4".